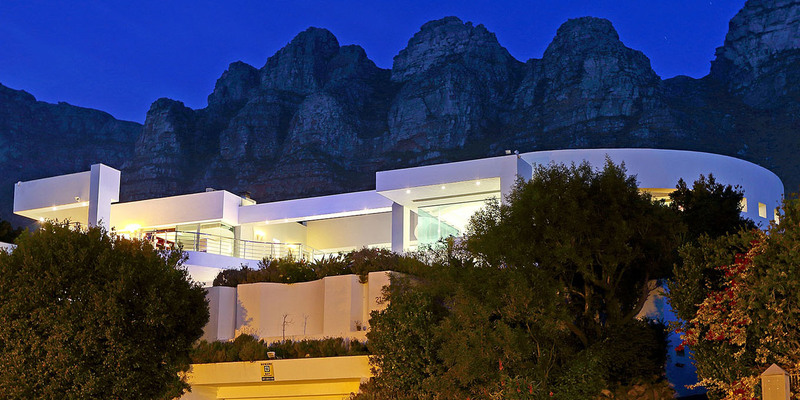 Is the Hollywood Mansion an Extraordinary Villa in Camps Bay? 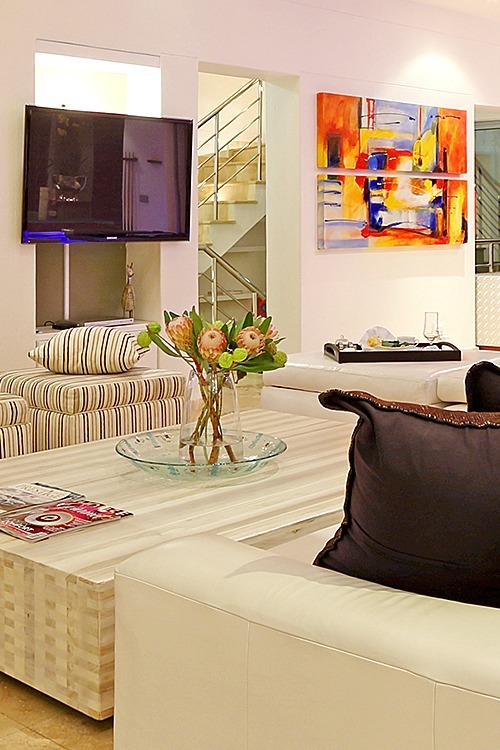 The Hollywood Mansion is your home away from home while on vacation in Camps Bay. 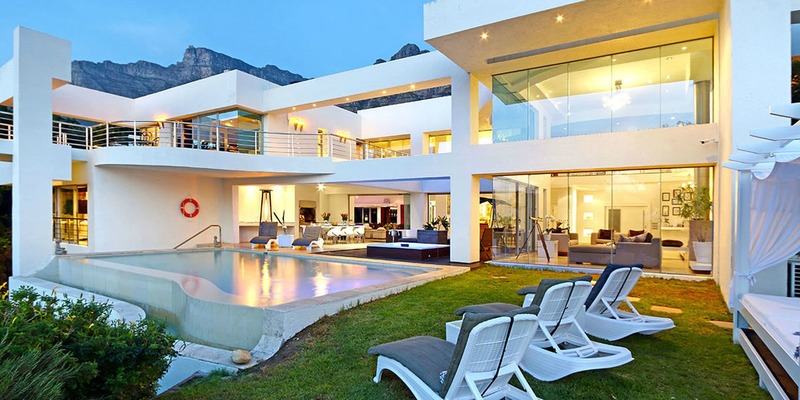 The exceptional holiday residence is in Cape Town, South Africa with awe-inspiring sea and mountain views. It is set on a tranquil location offering excellent services well as outstanding facilities. Stay at the luxury villa while you explore the city with its remarkable scenery, fascinating culture, and delectable cuisine. In fact the Hollywood Mansion is an award winning luxury villa. 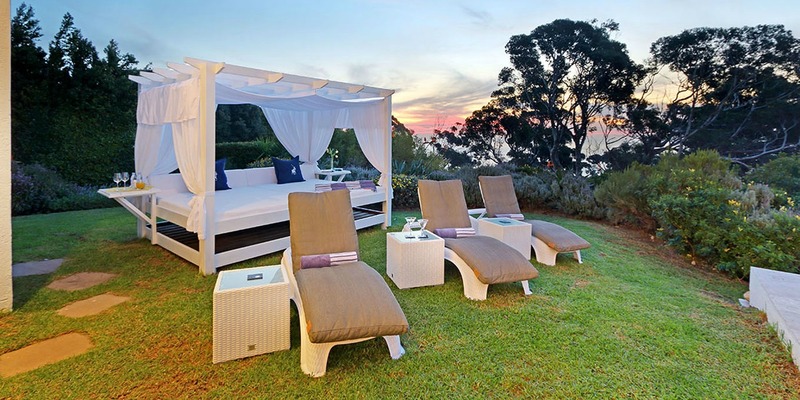 The exclusive vacation home was named by the Lilizela Tourism Awards as the 2015/2016 Best Self Catering Villa in the Western Cape. 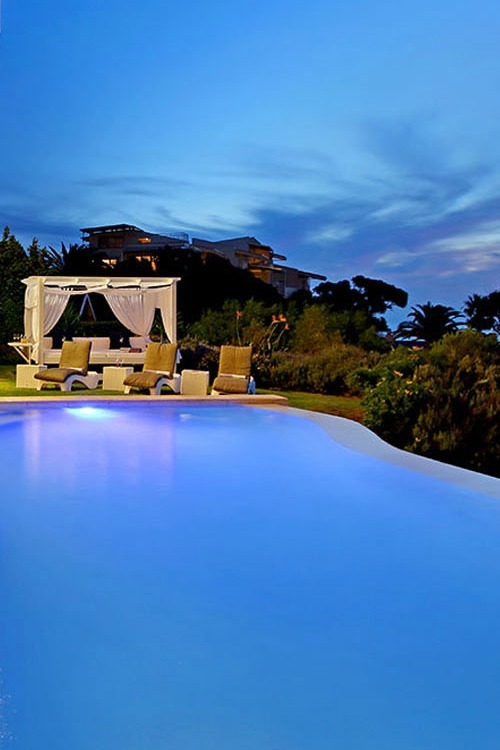 The recognition is an affirmation that the Hollywood Mansion offers premier accommodations along with the best service and utmost hospitality in Cape Town. 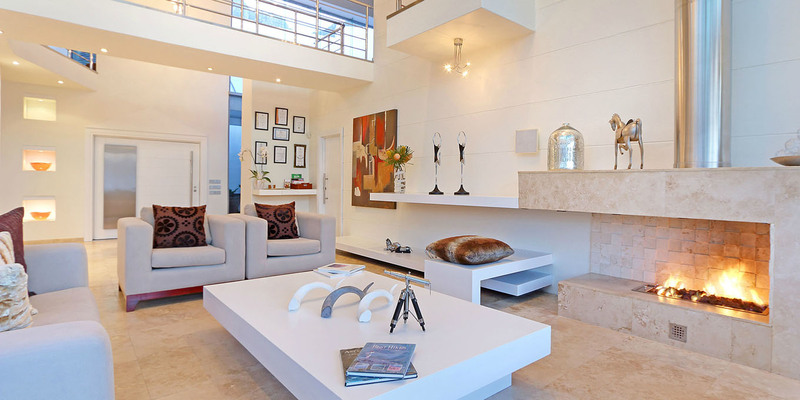 The Hollywood Mansion is a Camps Bay retreat with stunning indoor and outdoor living spaces. The vacation home includes a wind free patio where you will find a built in barbecue. It is perfect for a family with kids or a group of friends looking for a beautiful house in the suburbs of Cape Town, South Africa. What’s more the area is a much-loved destination by world travelers who frequent the region. 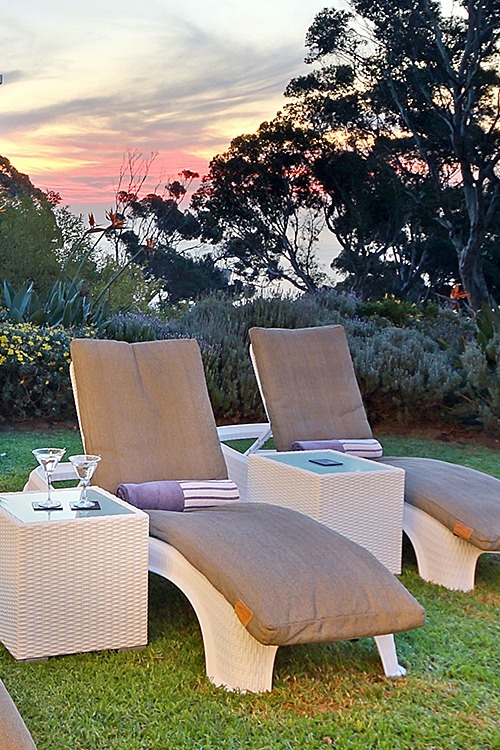 Sitting on a sun lounger at the Hollywood Mansion you take in the beauty of the surroundings. Taking a deep breath, the serene setting under the blue sky with wispy clouds calms you down. Imagine taking a dip in the heated infinity rim flow pool. And as you feel the warm water touching your skin it instantly relaxes you. You wish that time stood still so you don’t have to leave this awesome place. The Hollywood Mansion has an indoor bar as well as a sunken cellar. 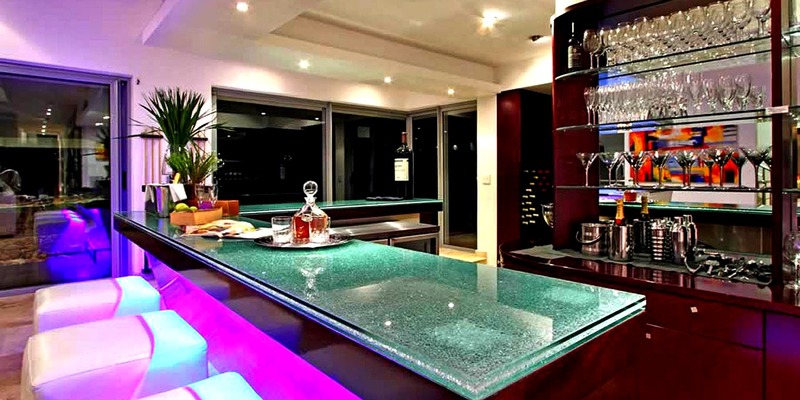 The bar is adjacent to the entertainment area where you will find a pool table and a spacious living area. You can hang out in this part of the house after meals and enjoy a glass of wine. All are cozy and elegantly furnished with comfortable sitting area along with brilliant lighting. 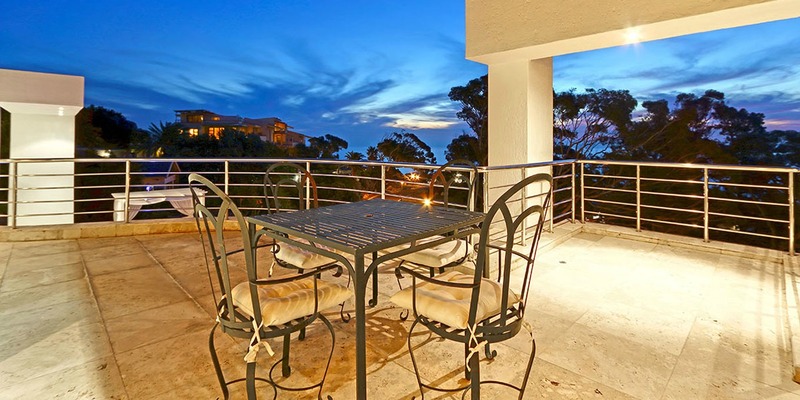 The luxurious mansion in Camps Bay has sizable living areas with an inviting atmosphere. Cushioned seats are what make this room extra comfy. Even with an extensive space, the Hollywood Mansion still feels like home. You see a fireplace adding warmth to the room. It is designed in neutral colors along with statement pieces of varying materials and patterns on different corners. Beautiful works of art are also displayed on the wall. 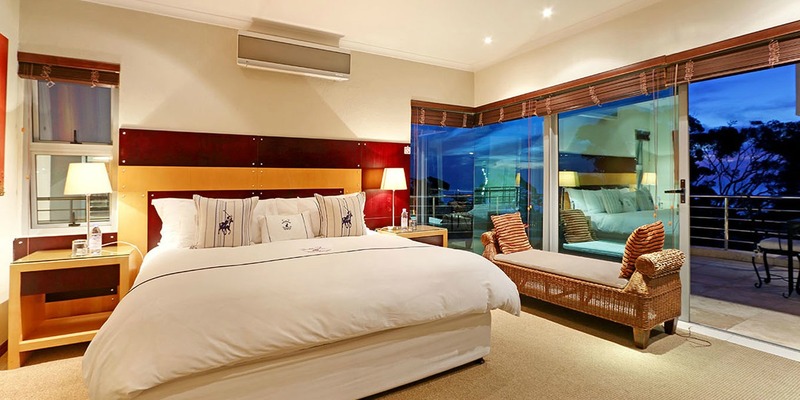 There are five luxurious bedrooms at the Hollywood Mansion in Camps Bay. All are spacious in neutral shades. The lodgings at the luxury villa are with comfortable furnishings that invite you to lie down and rest as soon as you step in. Every room carpeted with built in cupboards. Each has en suite travertine bathrooms including a toilet along with a bath and shower. Not only that, all are with air conditioning and heating. You might be wondering why discerning travelers from around the globe favor staying at the Hollywood Mansion. One of the many reasons is it is architecturally designed with nine balconies that boasts of panoramas of the peaks as well as that of the ocean. Think of it this way. Sitting in one of the verandas you are always in for a treat looking at the picturesque view. 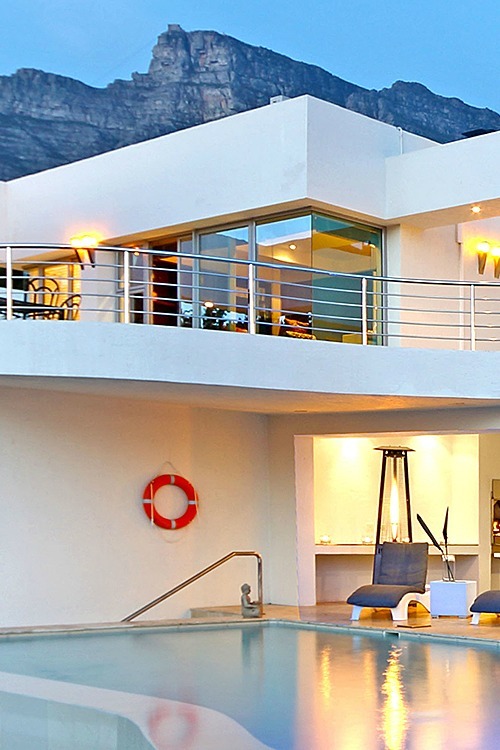 The Hollywood Mansion is positioned in a splendid location in Camps Bay. 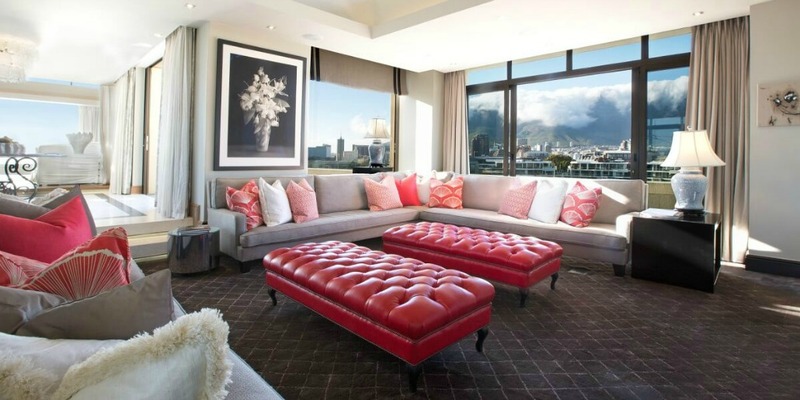 Within view from the Cape Town villa are the majestic peaks. 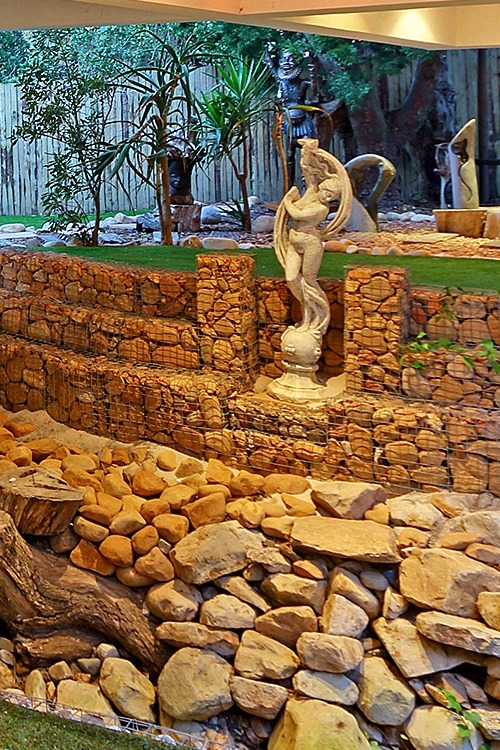 You will also discover a delightful stream running within the property. It gets better because the exclusive residence has lock up garages for a dozen vehicles. The house also has an integrated home security system with 360 CCTV, alarms, infrared beams and motion detectors. 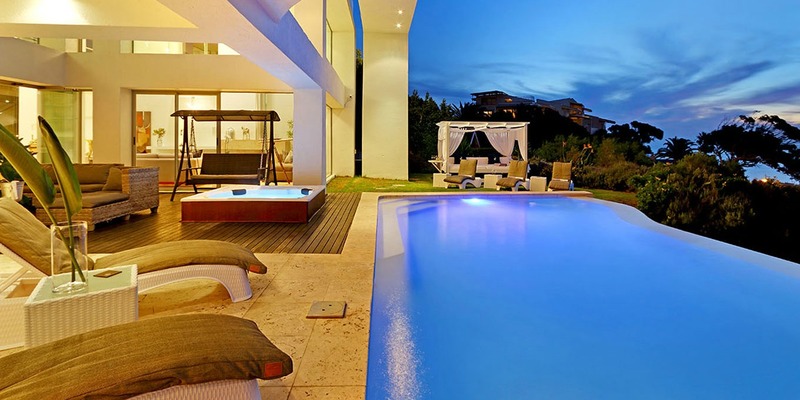 There are a number of leisure activities you can pass the time with while at the Camps Bay luxury villa. Take a seat on the patio swing with a canopy. It is a favorite corner where the kids as well as adults hang out. 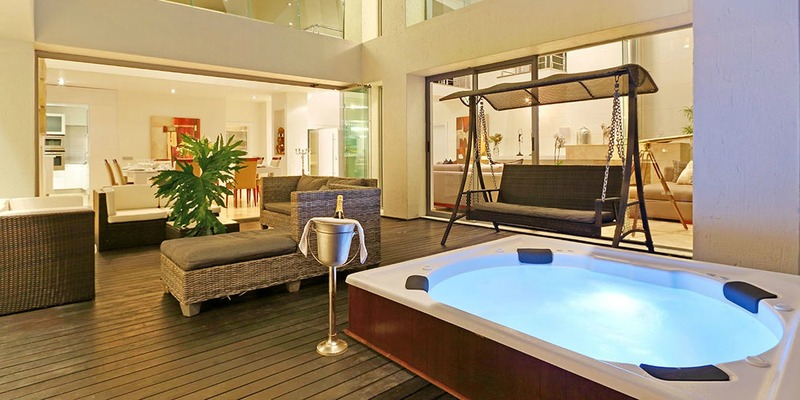 Near the swing is an above ground hot tub that you can use whenever you prefer. Sitting areas are also strategically positioned near the recreation area. Within the property and on the grounds are cushioned sun loungers. One of which has a canopy where you can stretch out contently while relaxing outdoors. 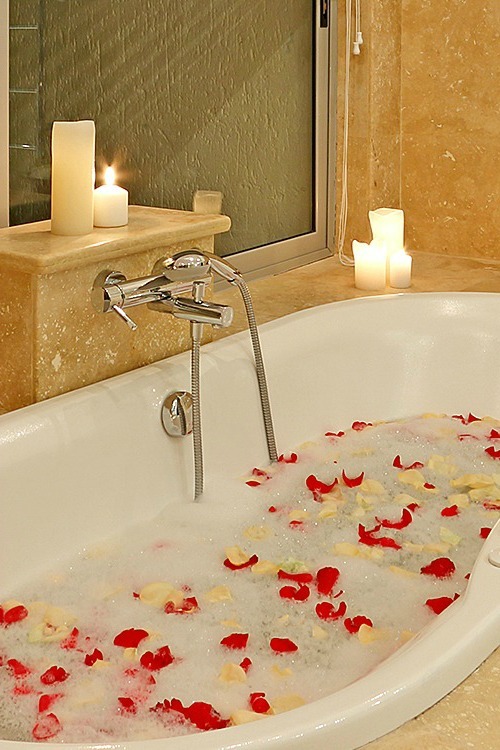 Take pleasure in the peaceful setting and let it soothe your mind and body. Want to know the best part. You can also enjoy sundowner cocktails specially prepared by your butler at the Hollywood Mansion at this spot of the luxury villa. 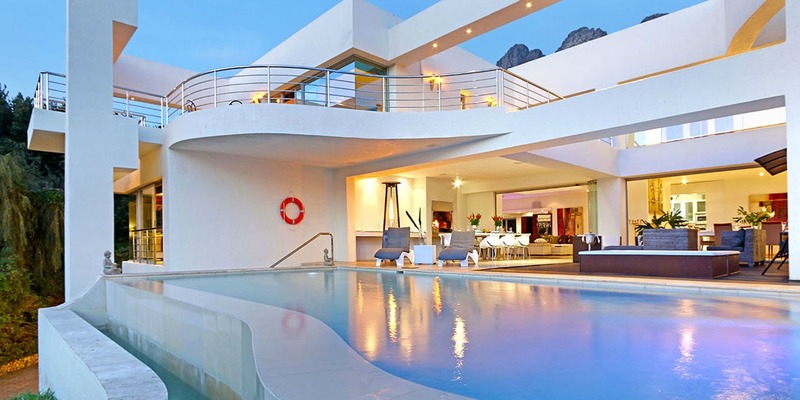 The Hollywood Mansion is indeed a haven for travelers in the Western Cape. 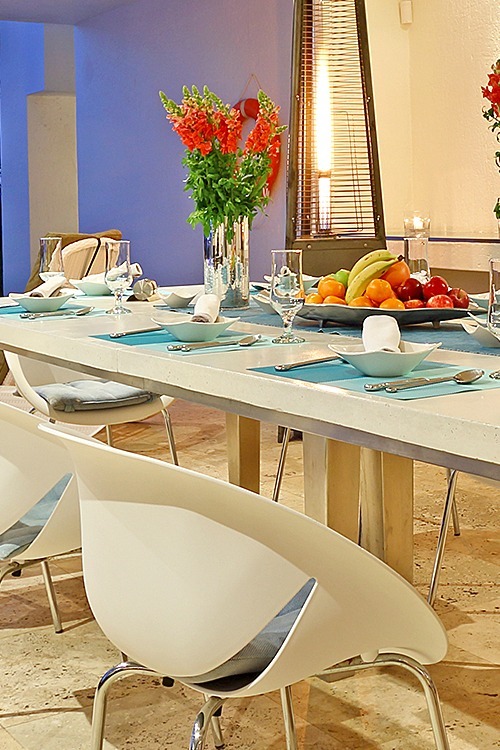 It offers exclusive luxury accommodations for up to 10 guests. As it turns out apart from the services of a butler, a maid is also at the villa to lend a hand. 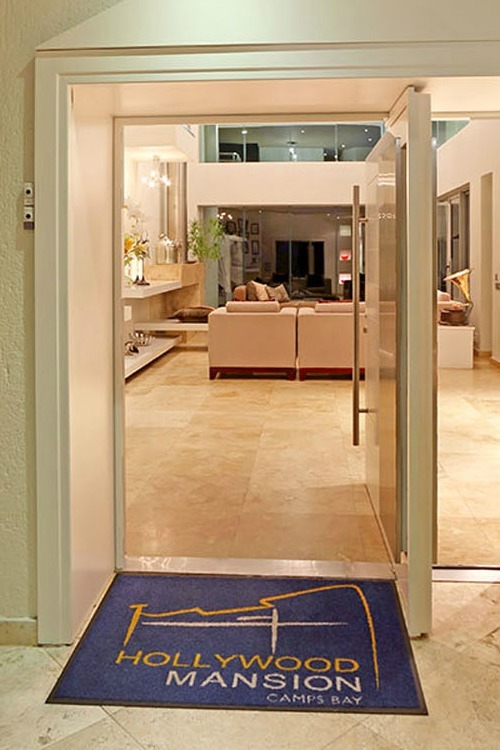 The Cape Town villa also include a kitchen with top-of-the-range appliances, soundproof home cinema, private gym, and has surround sound piped music on the ground floor and the outdoor areas.